Dhananjaya de Silva scored an unbeaten 78 to help Sri Lanka beat Zimbabwe by eight wickets in the first match of the One-Day International triangular series at Harare Sports Club on Monday (November 14). Coming on the back of a 2-0 triumph in the Test series, Sri Lanka bowled Zimbabwe out for 154 in 41.3 overs before chasing its target inside 25 overs to claim a bonus-point victory. It was de Silva’s highest ODI score, and he was ably supported by Niroshan Dickwella, who made 41 as Sri Lanka compiled 155 for 2 in 24.3 overs. Harare experienced heavy rain over the weekend, and Sri Lanka’s seamers made most of the overcast conditions on Monday morning to leave Zimbabwe reeling at 14 for 3 in the first five overs. Zimbabwe’s wobble began as early as the fourth over, when Suranga Lakmal had both Brian Chari and Craig Ervine caught at second slip in the space of three deliveries. In the next over, Sikandar Raza’s legside flick off Nuwan Kulasekara found midwicket. 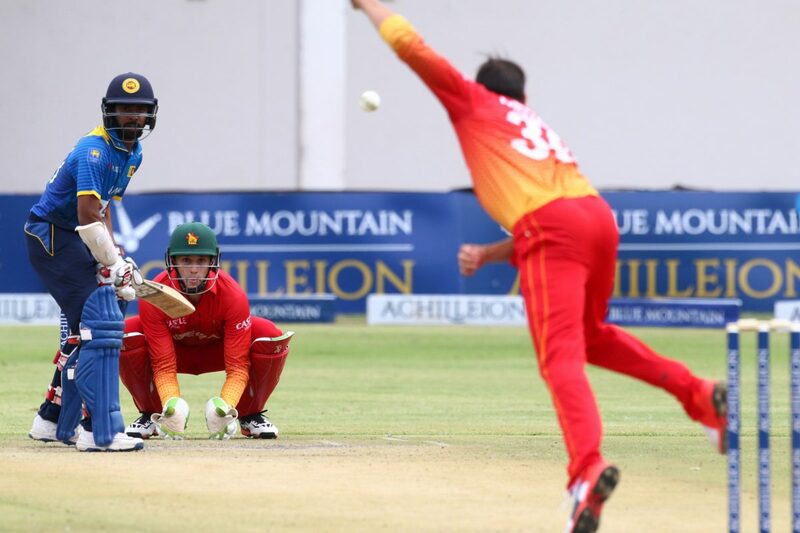 Sean Williams was foxed by Sachith Pathirana’s left-arm spin and stumped by Niroshan Dickwella, before Nuwan Pradeep (2 for 21) accounted for Chamu Chibhabha and Elton Chigumbura in successive overs to leave Zimbabwe 50 for 6 in the 18th over. A stand of 55 between Peter Moor, the wicketkeeper-batsman, and Graeme Cremer, the captain, temporarily stemmed the flow of wickets. Once Moor was trapped lbw by Nuwan Kulasekara, Cremer marshalled the tail to good effect. He put on 31 for the eighth wicket with Donald Tiripano (19), and was unbeaten on 31 when Tinashe Panyangara was dismissed by Asela Gunaratne. In Sri Lanka’s reply, Dhananjaya and Kusal Perera put on a 56-run opening stand before the latter was well caught at deep squareleg by Raza for 21. 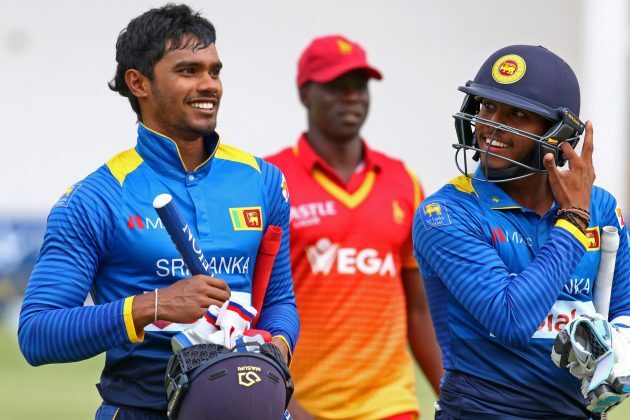 Dhananjaya brought up his fifty in 46 balls, and despite losing Dickwella with the target in sight, he finished unbeaten on 78 as Sri Lanka romped home in 24.3 overs. The triangular series also includes the West Indies, who will take on Sri Lanka at the same venue on Wednesday.